Traditionally, children were taught to read using the Bible. By the late eighteenth century, however, educators began using more secular texts. 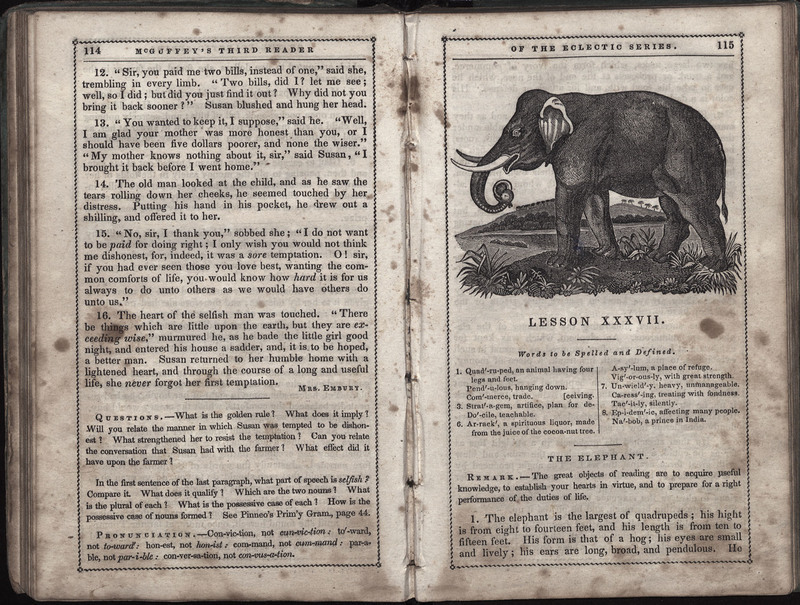 One of the most popular was the English Reader, originally written in 1799 by Lindley Murray (1745-1826). Murray was a New York Quaker who had fled America for England after the Revolution. 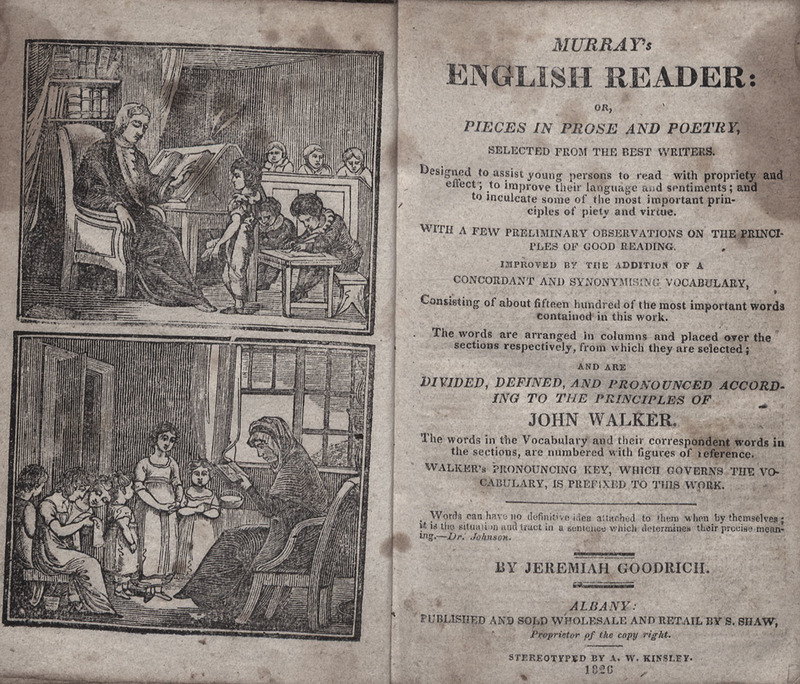 Despite his politics, over sixteen million copies of Murray’s English Reader were sold in the United States from 1800-1850. 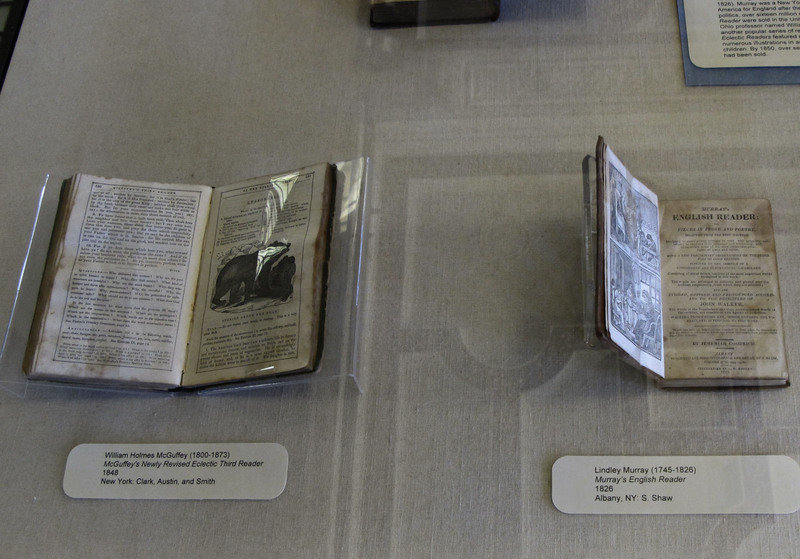 An Ohio professor named William Holmes McGuffey wrote another popular series of readers in the 1830s. McGuffey’s Eclectic Readers featured engaging short stories and numerous illustrations in an attempt to make reading fun for children. By 1850, over seven million copies of the books had been sold. New York: Clark, Austin, and Smith, 1848. Albany, NY: S. Shaw, 1826.